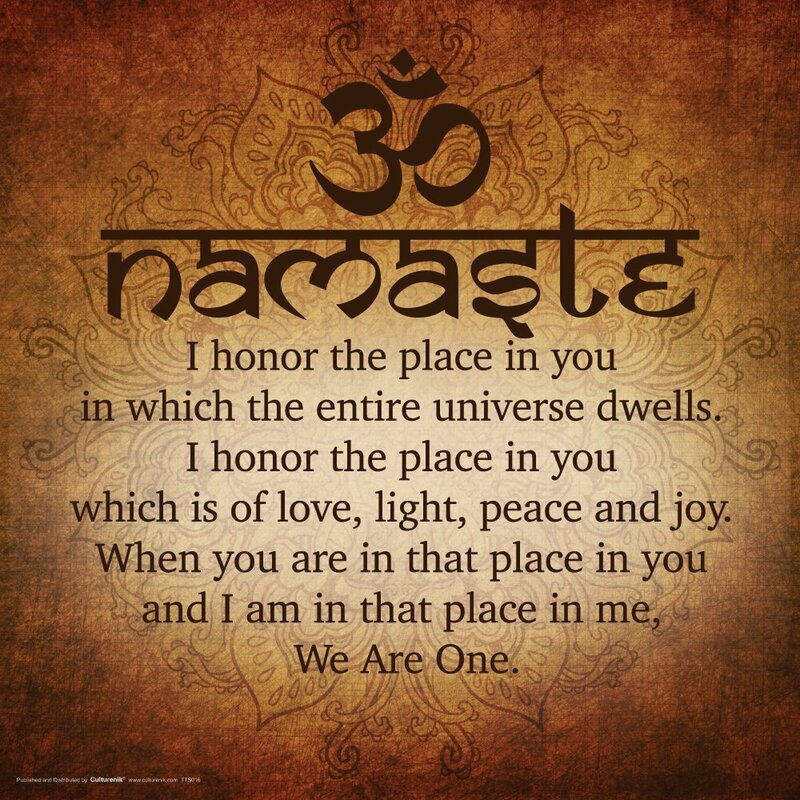 In Hindu religion, people mutually exchange greetings or salutations with ‘Namaste’. 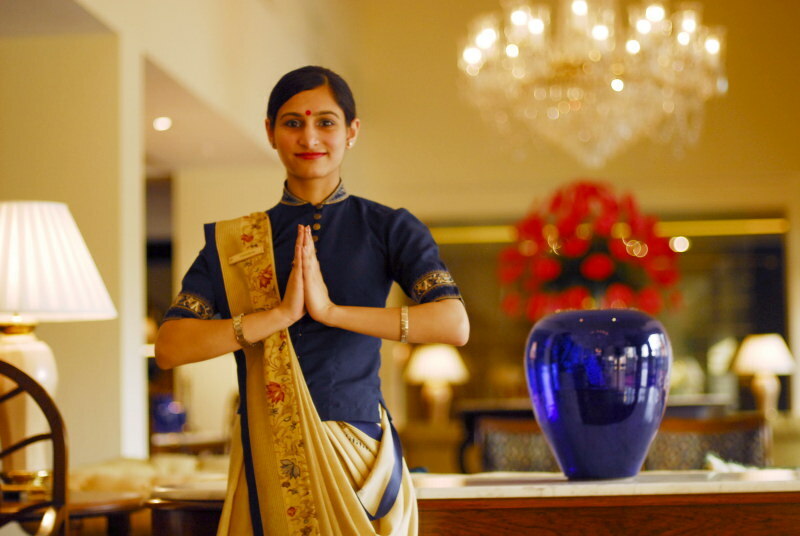 This form of exchanging greetings is done by bringing the two palms together to the chest level and by bowing the head while saying the word ‘Namaste’. Namaskar is a Sattva predominant impression on the Hindu mind, an action that maintains the rich heritage of Hindu culture. Namaskar is a simple and beautiful act of expression of divine qualities like devotion, love, respect and humility that endows one with Divine energy. The real meeting between people is the meeting of their minds. 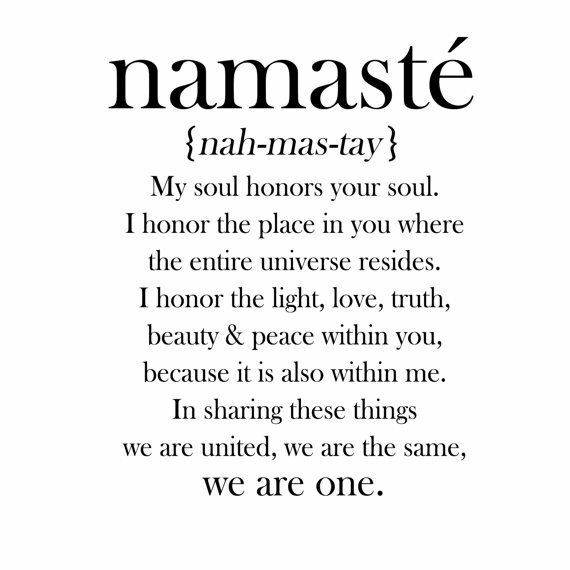 When we greet another, we do so with namaste, which means, “may our minds meet,” indicated by the folded palms placed before the chest. The bowing down of the head is a gracious form ofextending friendship in love and humility. ‘While paying obeisance to God, bring the palms together. After joining the hands one should bow and bring the head forward. While tilting the head forward, one should place the thumbs at the mid-brow region, i.e. at the point between the eyebrows and try to concentrate on the feet of the Deity. After that, instead of bringing the folded hands down immediately, they should be placed on the mid-chest region for a minute in such way that the wrists touch the chest; then only should the hands be brought down. 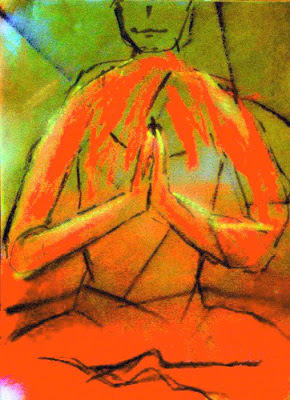 In the Namaskar posture, the joined fingers act as an antenna to assimilate the Chaitanya (Divine consciousness) or the Energy transmitted by a Deity. While joining the palms, the fingers must touch each other because leaving space between the fingers will result in accumulation of energy in that space. This energy will be immediately transmitted in various directions; therefore the seeker’s body will lose the benefit of this potent energy. After joining the palms, bow a little. This posture puts pressure on the navel and activates the five vital energies situated there. Activation of these vital energies in the body makes it sensitive to accepting sattvik frequencies. This later awakens the ‘Atma shakti’ (i.e. soul energy of an embodied soul). And later, Bhav is awakened. 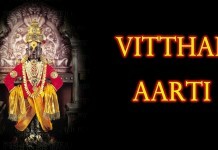 This enables the body to accept in large measures the Chaitanya emitted by the Deity. The ‘Anahat chakra’ is located at the centre of the chest. Akin to the Adnya chakra, the activity of the Anahat chakra is also to absorb the Sattva frequencies. By touching the wrists to the chest, the Anahat chakra is activated and it helps in absorbing more of the Sattva component. 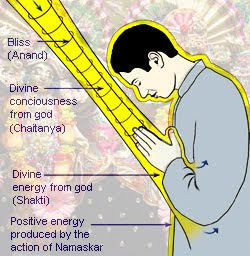 By doing Namaskar in this manner, the Deity’s Chaitanya is absorbed to a greater extent by the body, as compared to other methods of doing Namaskar. This gives maximum distress to negative energies. 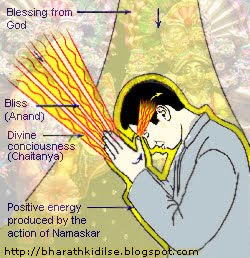 The negative energies that have manifested in a person are unable to touch their thumbs at the mid-brow region in Namaskar. Meaning: Goddess Lakshmi is the symbol of wealth.Goddess Saraswati represents knowledge.Govinda is the God of Power.Hand is the symbol of human effort. So by placing the three divine powers on the tips, in the middle and at the base of the hand, this shloka suggests that all the divinity lies in human effort. Thus this shloka supports the need of human effort and self confidence.There are different kinds of “namaskarams” or “Pranams” which include “sashtanga” (with eight limbs), “Panchanga” (with 5 limbs) and “Abhivadana”. The “Sashatanga” is where one lies down flat on the stomach with eight limbs touching the ground. The eight limbs are chest, head, hands, feet, knees, body, mind, and speech. This namaskaram is generally done by men.Traditionally, women do only “panchanga” namaskaram and not the other two.A “panchanga” namaskaram is where one, generally, a woman kneels down with palms joined together or touching the feet of the revered one in front. A woman does not do sashtanga namaskaram for the following reason. Our rule makers (makers of sastras) while making the rule that namaskara should be by lowering the body prostrate on the ground, eschewing every thought of self importance and finding the lowest level with the ground, they duly thought of the Universal Mother aspect (matrutwam) of Parasakthi (Ambal) which is a distinguishing divine principle in women, and took care not to imply any suggestion of lowering its importance. They ruled that the part of the body which sustains the growth of the foetus during pregnancy and the part that creates within itself the nourishment for the new born and feeds it should not be allowed to come in contact with the ground. If the torso should not touch the ground, then the shoulders have to be excluded so that the namaskara can conveniently performed. Thus, excluding the three angas, in their case it becomes panchanga. This also symbolises the need for women to have a “bending” nature. Bowing down itself means bending and it seems that the namaskara performed by women is real bow down. ‘Namaskar to the elders in the family is one way of surrendering to the God principle in them. When an embodied soul bows in Namaskar to an elder by surrendering to the God principle in him, at that time a sense of compassion is created in his body. This compassion percolates right upto his subtle body. At that time, energy of his mind is activated and in turn activates the five vital energies, which are located at the seat of the Manipur chakra (situated in the Naval region). Transmission of these five vital energies all over the body then awakens the soul energy. With the strength of the soul energy, the Central channel gets activated and converts the expressed energy of spiritual emotion to the unexpressed energy of spiritual emotion. With the help of this unexpressed energy of spiritual emotion, the embodied soul, through the medium of elders, gains the required Deity’s principle from the Universe. However, as per the saying, ‘God exists where there is spiritual emotion’, while doing Namaskar to a dead body if we have a spiritual emotion that we are doing Namaskar to the God principle in it, then the God principle in the dead body awakens and we receive God’s blessings. 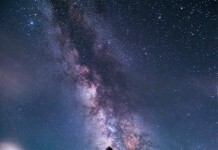 This happens because the God principle is immortal and has no limitations that a physical body has. Thus the act of namaskaram symbolises the humility and respect and melting of ego. 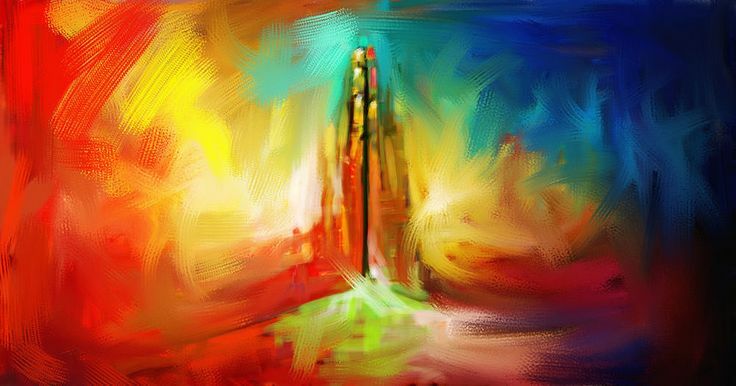 Any action done with the right thought and feeling behind it, in turn, enhances and enriches that experience. Thus, the sashtanga and panchanga namaskarams are a great aid for nurturing and heightening the “tallest” inner quality of utter humility – that is, the “vinaya sampath”. The great legacy of namaskara – kriya to which our tradition has bequeathed to us should not be allowed to decline and disappear. Next articleNamaste – Symbol of Indian Culture.